Security researchers claim that at least 68,000 medical systems — like MRI scanners and infusion systems — from a “large, unnamed US health group” are accessible online for hackers to attack. Researchers Scott Erven and Mark Collao explained at hacking conference Derbyco that they were able to access the interfaces of many medical devices using the search engine Shodan, which hunts specifically for internet-connected devices. The pair explained that through smart searches they were able to build up a detailed picture of devices used by the particular health organisation, including details about where medical devices were in a particular building. It’s not just device data that’s available, though: the team reports that they were able to identify “direct attack vectors,” that could be used to steal patient data from the devices, too. It’s not, of course, the first time that the digital security of medical instruments has been called into question. 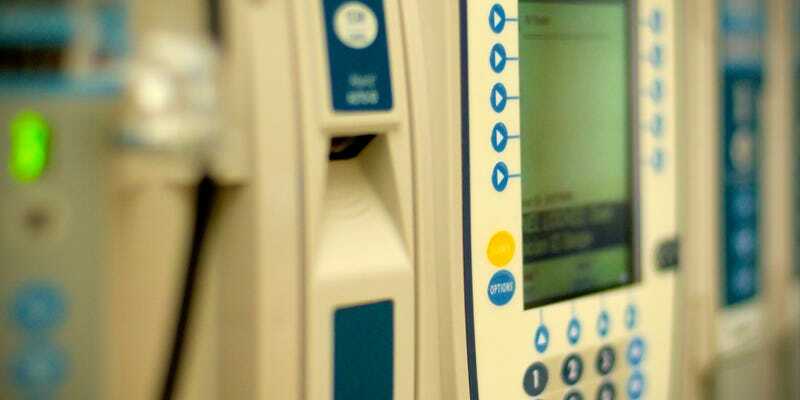 Malware is said to be “rampant” in hospitals, and earlier this year it came to light that hackers could hijack drug infusion pumps. Clearly something needs to be done — but knowing where to start is perhaps the biggest problem. Image by Philip Dean under Creative Commons license.